This is a really simply dish and can be ready in a flash. 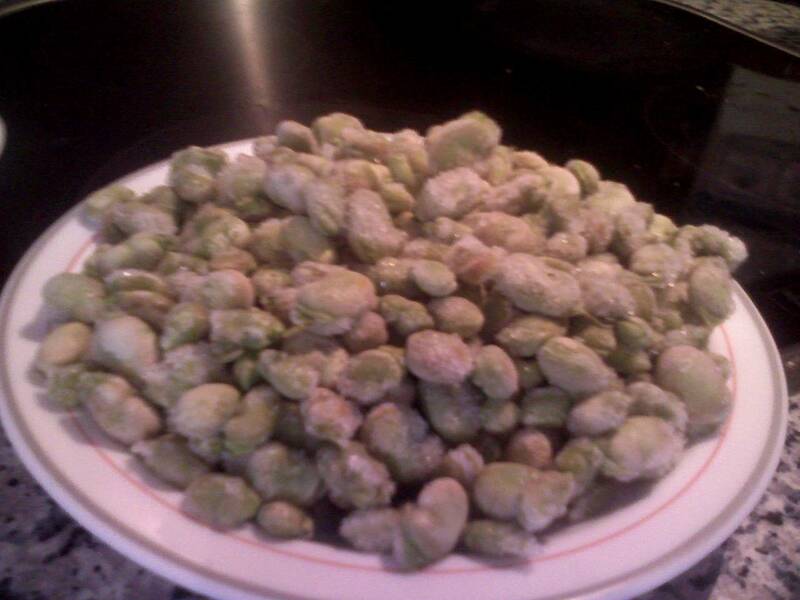 If you don’t have habas, you can substitute lima beans. I think this would be great with pinto beans or black beans, too. Habas are freshest in May. If you can get ones picked in May then frozen, that’s second-best. You can get them dried and rehydrate before cooking. Your last bet is canned or preserved; they tend to be both mushy and tough. Blech. Roughly chop the jamon and quickly fry on high heat in oil in a skillet; just enough to get the jamon wet with oil. Add the fresh or frozen habas. Turn down the heat and simmer for 20-30 minutes until the beans are cooked through. Salt to taste.